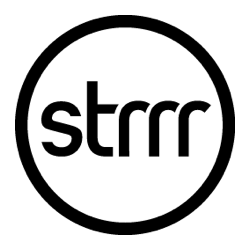 We’re delighted to announce that STRRR TV have centred their most recent episode in their series of interviews around Nelly Ben Hayoun. STRRR TV are paving the way as the future of horizon-expanding television. They create content focusing on superstars and brilliant newcomers hailing from the world of music, art, design, film, and fashion as they present their favourite clips and films through the nearly unlimited archives of the Internet. Each meticulously crafted episode presents a self-portrait of the selector, which allows us new insight into their life and work. Now in it’s fifth season previous guests have included Giles Peterson, Friedrich Liechtenstein & Hans Ulrich Obrist. In her episode, Nelly talks about her favourite video clips and how they’ve inspired her, from the first time Michael Jackson did the moonwalk on stage to Fischli and Weiss’ THE WAY THINGS GO. To watch the full interview please click here.